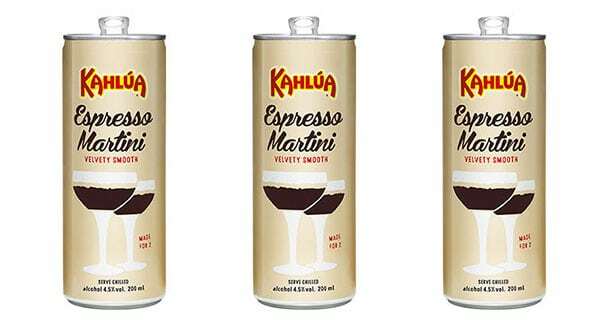 Pernod Ricard has expanded its Kahlúa coffee liqueur brand with the launch of a ready-to-drink espresso martini can featuring nitrogen widget packaging. Served in 200ml cans, the beverages are designed for two serves and aim to take the confusion out of the preparation of the espresso martini cocktail. The can is fitted with a nitrogen widget, which forces bubbles to the surface as soon as it is opened, to create the classic espresso martini creamy foam. The recipe includes ingredients such as roasted coffee, Kahlúa liqueur and a dash of grain vodka, to create an “impeccably balanced taste”. To enjoy the beverage, consumers need to open the can and then wait for around 20 seconds for the crema to set. The cans are sold in two versions, 4.5% ABV and 7% ABV, in six markets worldwide from September 2018.